On Monday, in the middle of an incredibly hot Labor Day, I ventured out of the house having spied some clouds. Shooting in the middle of the day can be difficult with harsh light and strong shadows. 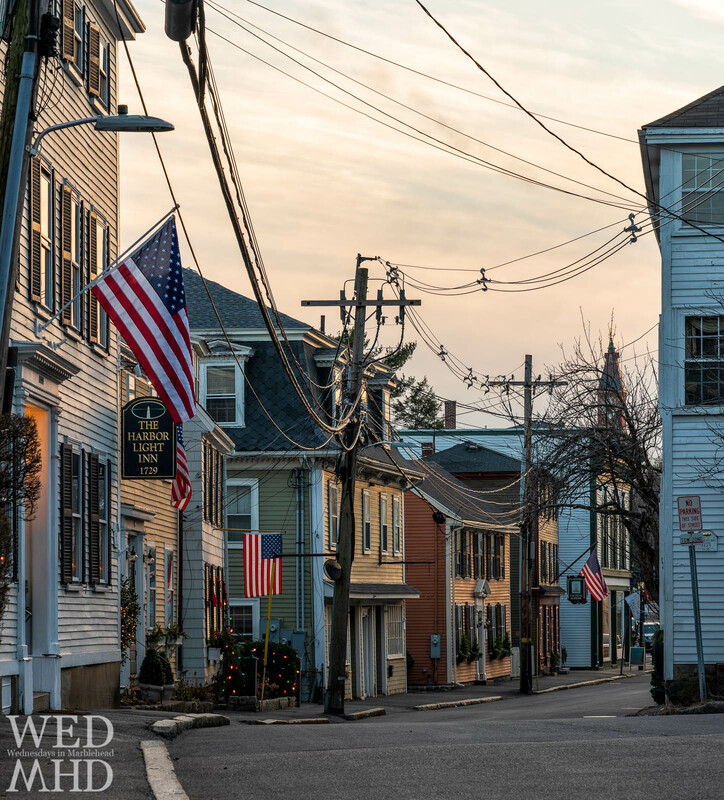 I decided to head to historic downtown Marblehead first and noticed the mid-days sun casting shadows on State Street. I watched the traffic and crossed into the middle of the street briefly to capture the view of these historic home leading towards the landing where a large flag was caught in a gust of wind. From this direction, the sky held few clouds but the deep blue color combined with the deep shadows helped set the mood of a hot end-of-summer day in Marblehead. Perfect!! The sky was amazingly blue!! Beautiful photo as usual. ??? ?